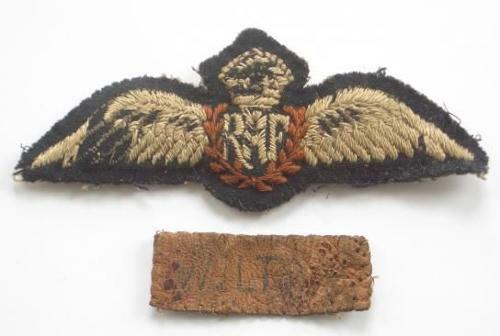 WW2 RAF Pilots Wings and Leather Name Tag. A padded pair of Pilots wings with heavy wear. Accompanied by a short brown leather, this with faint ink name WILT?. It was common for RAF aircrew to have a small brown leather tag sew above the right pocket of the battledress blouse.